Learning Jungle Camps are theme-based, where every week is a different adventure for your child. From fun-filled outdoor time, to quiet and creative indoor time, we will ensure that your child is never far away from the fun and always in the company of friends and our caring staff. When it comes to learning, children are sponges and at Learning Jungle School we believe in providing them the opportunities to immerse themselves and enrich in different areas of their interest. Learning Jungle School offers one-on-one private tutoring to children ages 6 years and up (Grade 1 and up). Our qualified teachers provide tutorials (both remedial and advancement) on various school subjects such as Mathematics, English and French to help students excel in school. We offer convenient and flexible schedules, available weeknights and weekends. Seamless day – Your child remains at the Centre, we bring the experts in. Learning Jungle School becomes a hub of enrichment activities for your child to participate in. Convenience – Learning and Care all under one roof. Less time spent on commute more time for the family. Be in touch – Parents can now be very familiar with their child’s learning experience at School through the My Learning Jungle® portal online lesson plans and activities. You can reinforce at home what your child learned at school. Trust and comfort – Our schools are licensed and meet the stringent requirements of the province’s Day Nurseries Act. 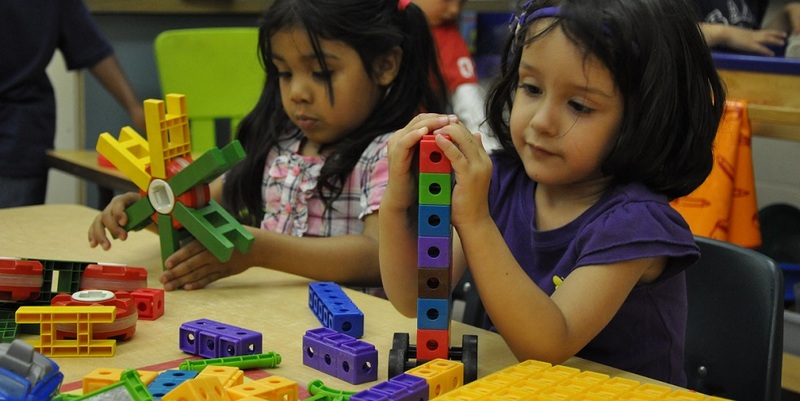 Our environments are perfect for the enriching early learning experience that a child needs. More attention – Optimal teacher to child ratios at Learning Jungle School ensure that your child’s learning needs are better addressed. A curriculum designed to grow beyond early years – As a parent your child can continue to benefit from our enrichment program offerings beyond their early childhood years. These programs ensure that your child can continue on their enrichment journey even in their school-age years. "We are writing to thank you for providing such excellent care of Jamie and Daniel since joining the Learning Jungle in 2009. The staff fostered a warm and nurturing learning environment for our sons who feel they have a second family at daycare. When I walked through the doors of the Learning Jungle four years ago, I couldn't imagine leaving my one-year-old baby with anyone, let alone at a daycare centre. Jane and Cynthia quickly put my mind to rest! During the initial tour of the facility, Jane rolled up her sleeves and changed Jamie's diaper without blinking an eye. When I dropped off Daniel on his first day at the daycare, Cynthia was extremely kind and reassuring. That's what I love about the daycare - everyone is willing to help out to ensure the children and the parents are happy and that the programs run smoothly. During the toddler years, we received so much help managing the challenges of picky eating, toilet training and discipline. We were always impressed with the level of creativity demonstrated by the staff with each new activity and craft the children learned. Now that the boys are both ready to start full day kindergarten, I'm grateful for what they have been taught in the preschool room. I'm confident they will easily transition to the new school largely due to the routines and programming established at the Learning Jungle. We would especially like to thank Kim and Megan for teaching Jamie and Daniel each and every day in the preschool room (which could not have been easy!). The boys adore their teachers who are enthusiastic, positive and always willing to offer a hug or cuddle when needed. They should both be commended for their high level of energy and hard work. Thank you all for the support and guidance you have offered to us. We wouldn't hesitate to recommend the Learning Jungle - Duffin's Bay to anyone seeking child care. We will miss you all, and I have no doubt we will be back in the future!"